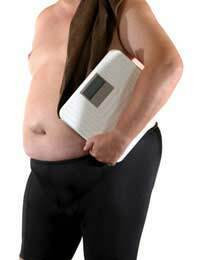 In the past it was estimated that 10% of all eating disorders were experienced by men. Recently, however, research has indicated that this figure may more accurately be between 15% and 25%. Some experts still wonder if the figure isn’t even higher but a societal stereotype of eating disorders as “women’s problem” keeps men from seeking help, and thus their disorders from being diagnosed and reported. Whatever the actual number, it remains a fact that men do experience eating disorders and that these disorders are no less important or serious than those experienced by females. Though there is no single cause of eating disorders, the recent increases in eating disorders diagnosed in males has been at least partially attributed to the strength of media images regarding male bodies. In particular, the message that men should be lean, fit and trim has become increasingly common and many men may fall victim to the strength of this message. Unable to fit this physique, or achieve it through healthy living, it is theorised that many men develop eating disorders in an effort to achieve their desired goals, or as “coping” mechanisms for their unhappiness with their current state. While it remains impossible to accurately predict which males will develop eating disorders, some common risk factors have been observed which may be linked to later disorders. Males who have been overweight for most of their life, regularly bullied or teased about their weight, overly concerned about their appearance or image, and/or unsuccessful at past diets may be at risk of eating disorders. Males who also participate in sports or professions that require physical fitness and/or thinness, for example actors, models, jockeys, or boxers, may be particularly susceptible to eating disorders as well. “Playing” with food instead of eating it. Hiding food to avoid eating it. Purging, such as by inducing vomiting or taking laxatives or diuretics. Hiding food reserved for binges. Showing excessive interest in weight, body image, dieting and/or fasting. Extreme self control, and/or the desire for control of situations and settings. Eating disorders can only be diagnosed by a qualified mental health professional in accordance with established mental health criteria. For further information on males and eating disorders, contact a GP, private mental health professional or the Eating Disorders Association and/or National Centre for Eating Disorders.